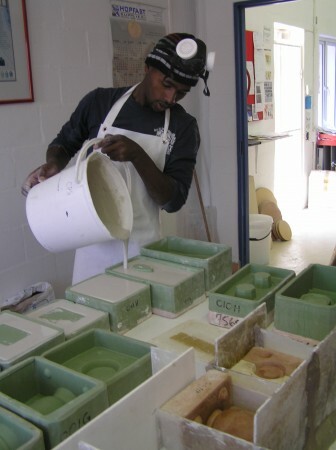 Clayman products include clays, porcelains, glazes, bisqueware, casting slip. Proudly manufactured in Cape Town, South Africa. 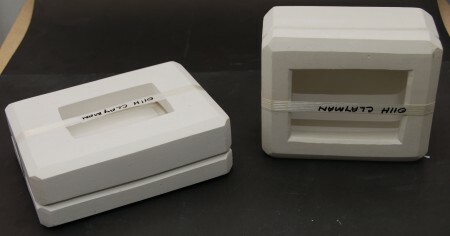 Mercury Master Moulds - a division of The Clayman - manufacturer of moulds - agents welcome. Top photo : Clay Man moulds completed! Bottom photo : Siyabonga Buzo our mould maker in action.. It is with great sadness that we inform everyone that Anton van der Merwe passed away this weekend at his home in Hogsback. More colorful Mishima Mishima, also known as Inlay, is a great technique for creating graphic imagery on clay. Watch the short video below to see how to add colored background to your Mishima pieces. Click on the video below to see how this technique works!! You will see that our heart�s desire at Zikulise is to make a difference in the lives of ordinary South Africans who find themselves in the unenviable position of being unemployed and in many cases unemployable. We invite you to page through and read at your leisure. Most of all, we invite you to join with us on our journey towards a country where unemployment is no longer considered a national crisis.